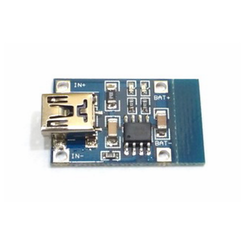 This module uses a very mature charging chip TP4056 external circuit is simple, good protection performance, high precision charging. Automated processing of the modules are fully mechanical, SMD parts manufacturing, each module will test before shipping, high reliability. 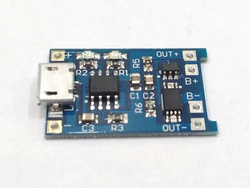 It still retain the input voltage wiring solder joints, can be very convenient to DIY. Work temperature- -10 cto +85 c.
Looking for Batteries Holders & Charger ?